Appropriate indicators for measuring nutrition impacts in agriculture is a topic that has received much discussion, both in the Agriculture to Nutrition online community, and generally in the field. 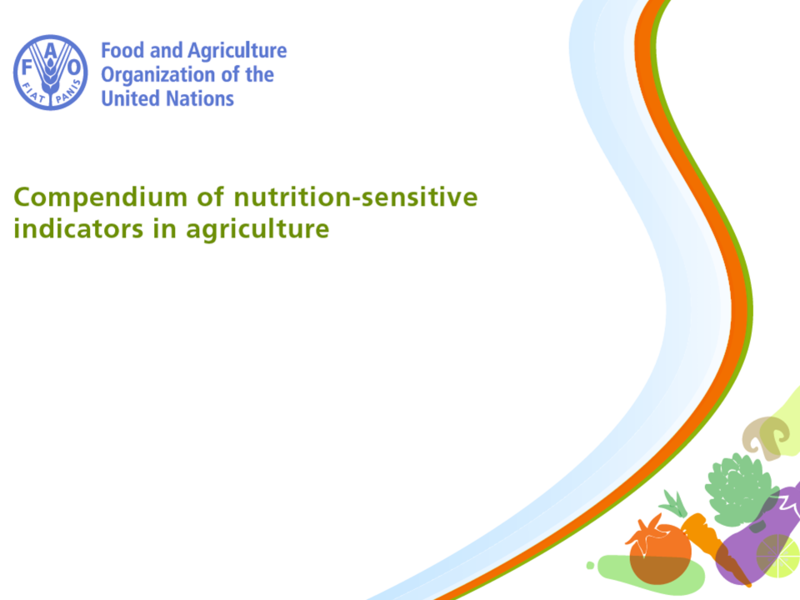 The September 2016 call topic was on "Nutrition Indicators in Agriculture," featuring several recent publications supported by FAO. Two publications on this topic were released in September 2016. Several other 2016 publications deal with specific areas of measurement and support the overall conversation on nutrition indicators in agriculture. Authors of these documents were on the call to introduce them to the CoP. Nutrition Indicators in Agriculture Projects: Current Measurement, Priorities, and Gaps. Anna Herforth & Terri J.Ballard. Global Food Security, Sept 2016. Minimum Dietary Diversity for Women: A Guide to Measurement. FAO & FHI360, 2016. FAO Dietary Assessment - A Resource Guide to Method Selection and Application in Low Resource Settings. FSIN Food Security and Nutrition: An Independent Technical Assessment and User’s Guide for Existing Indicators. FAO, IFPRI, WFP; led by Uma Lele, Will Masters, Joyce Kinabo et al. 2016.